After the recent US television awards, global audiences were assaulted by the rather nauseating sight of celebrities such as James Corden cosying up to Sean Spicer, former Director of Communications at Donald Trump’s Whitehouse. 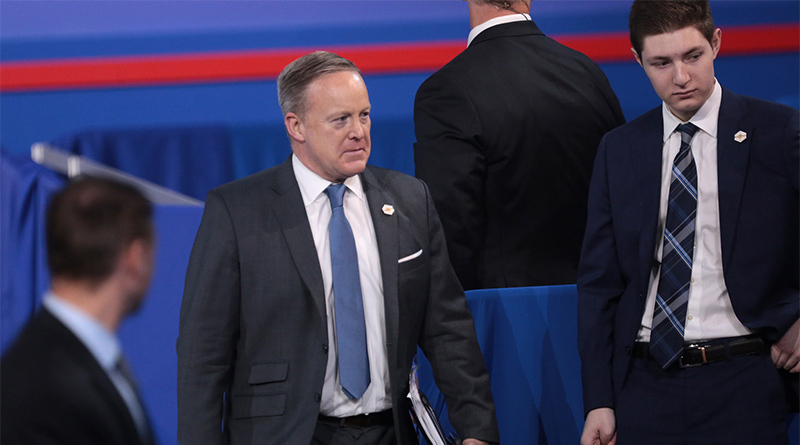 Spicer also appeared on stage at the ceremony recreating Melissa McCarthy’s impersonation of himself to largely rapturous acclaim – which only served to enhance the suspicion that, in the words of New York Times commentator, Frank Bruni, fame truly is its own reward and celebrity really does trump everything and redeem everyone. It is clear that following his resignation as Trump’s press secretary, Spicer is on a tour of rehabilitation. As well as the appearance on the Emmy’s he has been interviewed in the in NY Times and appeared on the popular Jimmy Kimmel chat show. He has also, perhaps more alarmingly, accepted the position of visiting fellow at Harvard University. It could be that he will bump into Corey Lewandowski, Trump’s election campaign manager, who has also been hired by that most famous of colleges. I suppose the point of the adverse reaction now surrounding Spicer is in the fact that he is being lauded by sections of the media he attempted to disable. His previous actions seem to count for nothing as the doors on the celebrity and academic circuits swing open to welcome him. It also demonstrates once again that while the actions of the political classes may impact significantly on the lives of ordinary people, the architects and defenders of policy simply move on to other projects. In 10 years time, health permitting, what’s the betting we see Donald Trump on chat show after chat show sharing jokes about “the wall” “fake news” and the “rocket man” in North Korea?